A small church with a very long dedication! This is a most unusual church. It looks French and this is because it is all that remains of a Carthusian house here founded by St. Hugh. It is normally locked but the notice board does give key holder details. As I was looking at this a man drove past, stopped and offered to get the key for me. 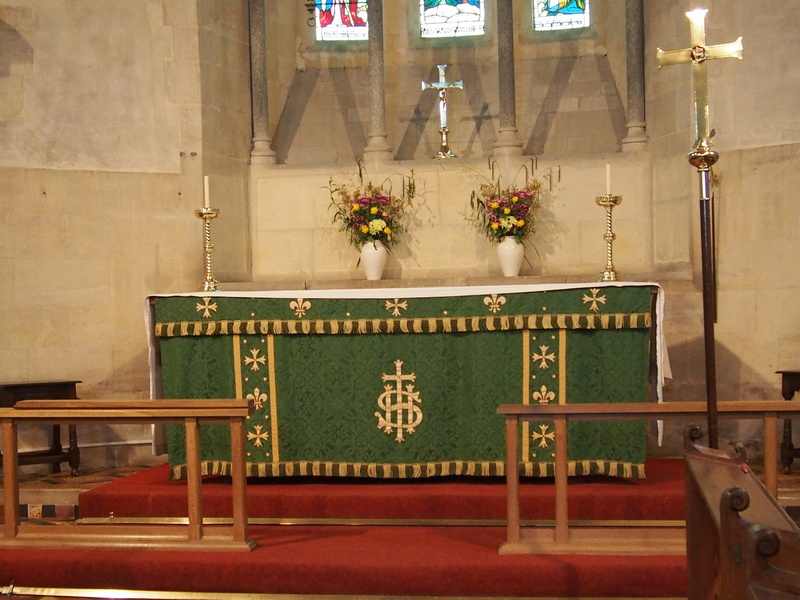 It turns out that he was the churchwarden and was both helpful and knowledgeable. 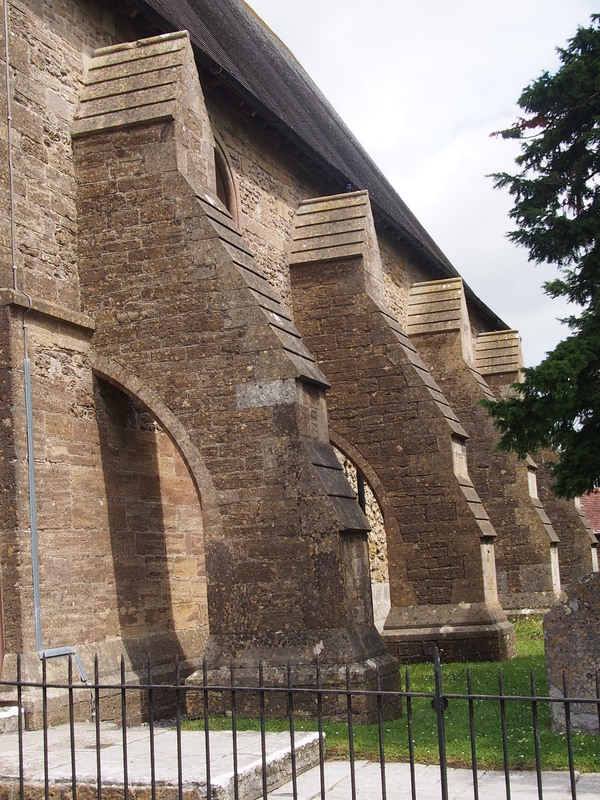 The church has some large buttresses on the outside. Inside, it is like walking into a monastery chapel, but that is what it is. 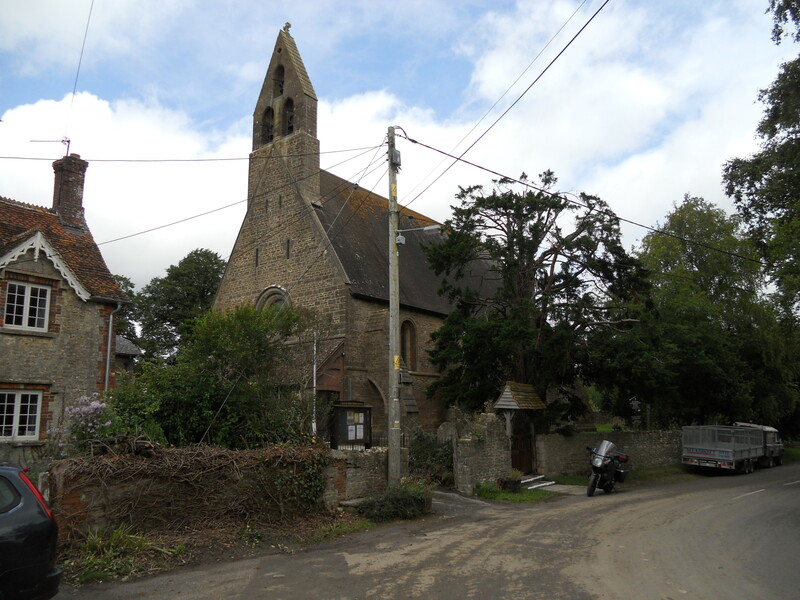 It was the lay brothers chapel and was saved at the Dissolution as it became the parish church. It is breathtaking. There is a good guide at only £2 – a real bargain as it is a very good read, some other guides and a life of St. Hugh. Also some postcards, church mugs and home made chutneys. The visitors book showed 25 entries for this year so far. There were refreshments for visitors and some John’s gospels to take. 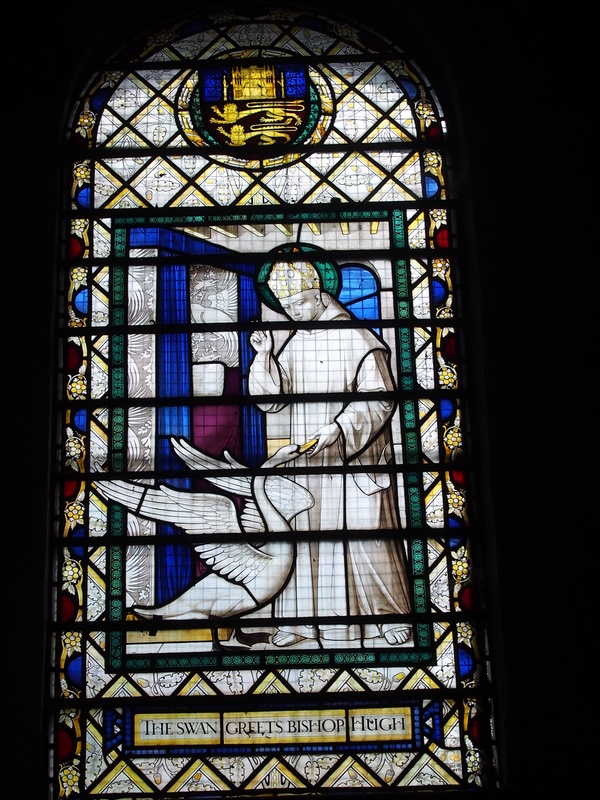 The windows on the south side of the church tells the story of St. Hugh. 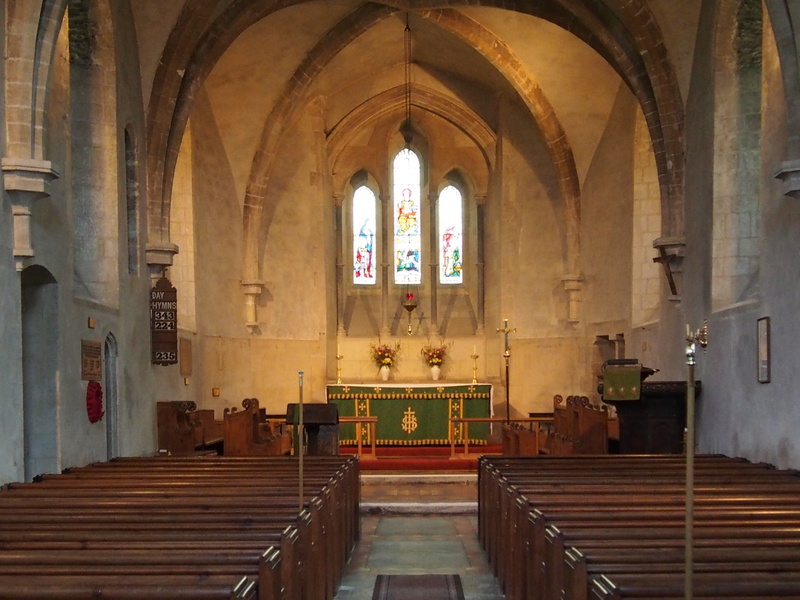 This is a well cared for church which is very much out of the ordinary and well worth taking the trouble to visit.